This comprehensive monograph on Versailles offers unprecedented access to the château and grounds of one of France’s most significant and legendary historical landmarks. 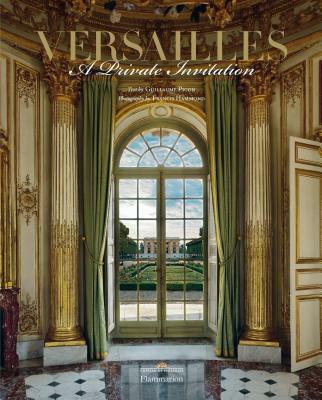 For this book, Versailles granted the photographer carte blanche access to the palace and its grounds. This new edition includes previously unseen material on the recently restored Cabinet de la Meridienne (Marie-Antoinette’s boudoir), the Salon d’Aurore, and new, up-close and in-situ details of objects that are not part of the general public circuit. Also included are historical memoirs and letters that provide fascinating insight into life at the palace. From the most renowned rooms to the gardens, Versailles is a theater of unrivaled splendor that continues to capture the hearts of visitors and aficionados of France from around the world. Guillaume Picon is a historian and specialist on the kings of France. Francis Hammond’s photographs have been published in A Day with Claude Monet in Giverny, Private Houses of France, and Historic Houses of Paris. Catherine Pégard is president of the public establishment of the Palace, Museum and National Estate of Versailles. Laurent Salomé is director of the National Museum of the Versailles and Trianon palaces. "Hammond was given complete freedom to walk the halls and grounds of Versailles sans crowds, capturing not only the grand rooms of the palace, like Marie Antoinette’s boudoir and the Salon d’Aurore, but also intimate detail shots of architectural ornamentation and objects throughout the palace—some of which are not on view to the public. Picon’s text, in conjunction with these photographs, gives insight into both the French royal family and French history as a whole, making it a perfect book for any Francophile. Preview some of the gorgeous photography from the book below, then work on planning your next trip to Versailles. As Laurent Salomé, director of the National Museum of the Versailles and Trianon Palaces, writes in the preface, 'A splendid book like this one makes it possible to relive, or imagine, the fleeting emotions that come one after another during a visit here.' "